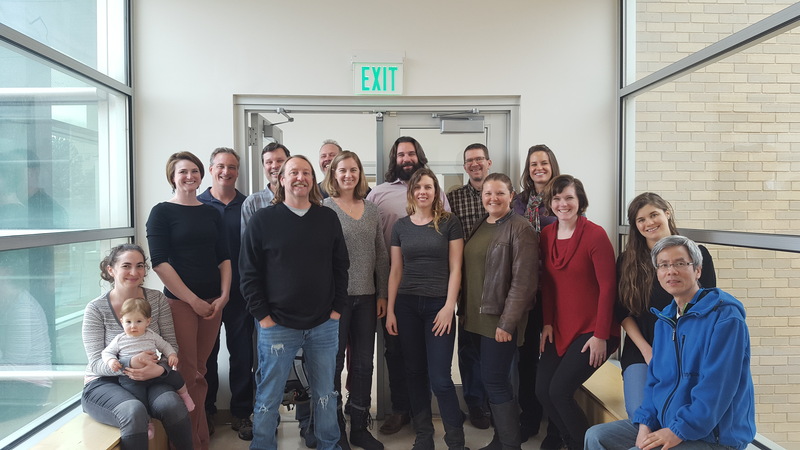 Golden Software customers possess a broad assortment of backgrounds, from earth science and engineering to education and politics. This vast background results in a variety of uses for Golden Software’s products. Each customer uses our software in their own unique way, and we are pleased to share these stories. This blog features Willem Havermans, a senior engineering consultant for MWH Global, who uses a combination of Voxler and Surfer's mapping software to visualize groundwater contamination levels and generate conceptual remediation models for their areas of interest. Willem Havermans has been a faithful user of Golden Software applications dating back to early 2000. He has purchased multiple versions of Surfer's mapping software. He also uses Voxler's 3D data visualization capabilities on a daily basis and has held a Strater license for the past few versions. Havermans, working with MWH Global, uses a combination of Voxler and Surfer to perform 3D data processing of surface and subsurface soil contamination and surface creation. 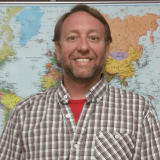 He uses Goolden Software's mapping software to create a strong basis for generating conceptual models of groundwater contamination and in planning of remedial designs. Why does Havermans take a 3D approach to modeling groundwater contamination, as opposed a traditional top-down, slice-modeling approach? Havermans feels that with the traditional modeling approach, relationships between a series of 2D slices are typically difficult to interpret, can introduce human-caused error, and quite often volumetric calculations of containments levels are estimated. 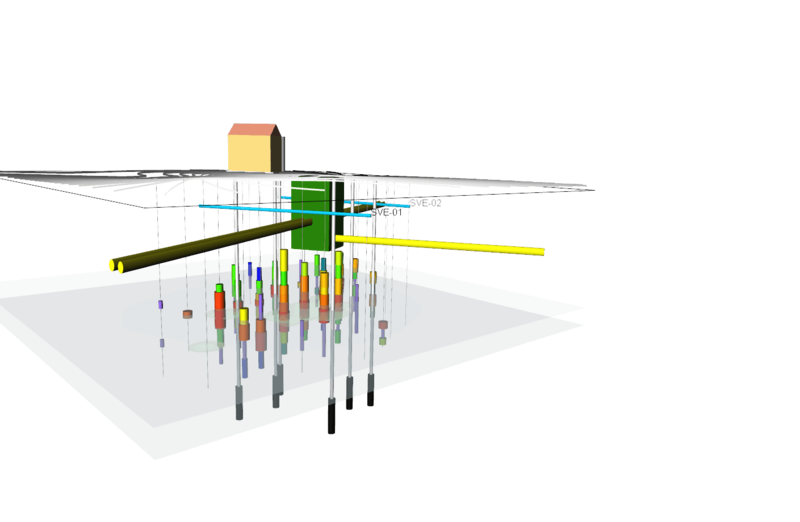 Making use of models that employ 3D interpolation of adjacent down-hole data samples offers the possibility of displaying the presence of contamination in a 3D view. For this purpose, Havermans' 3D interpolations are made using Voxler. are rendered by using multiple Isosurface modules and a WellRender module. Havermans used Voxler and Surfer to develop a 3D model of groundwater contamination in the city of The Hague, Netherlands. 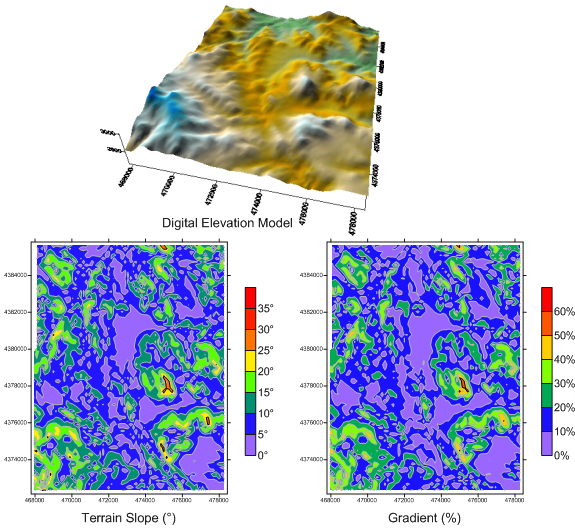 The model was based on an array of monitoring well data; where concentration levels of contaminants were developed for the area of interest through 3D interpretations that were calculated using Voxler’s Gridder. Once the groundwater contamination data was gridded, Isosurfaces for the different contamination thresholds were generated for the area. Voxler is used to calculate the size of the soil volume for each of the contaminant threshold levels, allowing the stakeholders to get a good assessment of the volume of soil that requires mediation work. The pathways and direction of the contamination plumes are easily visualized spatially because Voxler supports various types of GIS raster and vector data. locations. This model aids the remediation team in figuring out where to focus their remediation efforts. Havermans is particularly fond of Voxler because once a model is set-up; it can be easily updated within a few mouse clicks when new data becomes available from the monitoring wells. 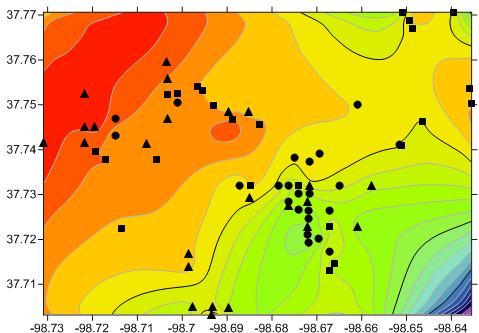 Contamination threshold Contours and Isosurfaces and be regenerated by updating the gridder. This allows Havermans to manage the groundwater contaminations over time, where he can see differences in concentrations and recalculate soil contaminations. He indicates that managing groundwater contamination data over time is extremely beneficial in directing ongoing remediation efforts. Havermans also exports the gridded contamination data from Voxler so that is can be easily combined with groundwater modeling software like MODFLOW to predict contamination behavior and remediation progress over time. in conjunction with a series of monitoring wells. Great project on key global issue. The key risk for sustainability is recharge rate vs extraction rate. Many aquifers are ancient and not being replenished and as such it is simply groundwater mining where the true cost of the water is not paid by the entity extracting.